Keeping track of your online purchases is easy with Expensify. When a merchant emails your receipt, just forward it to receipts@expensify.com! Didn't receive a merchant receipt? No problemo! 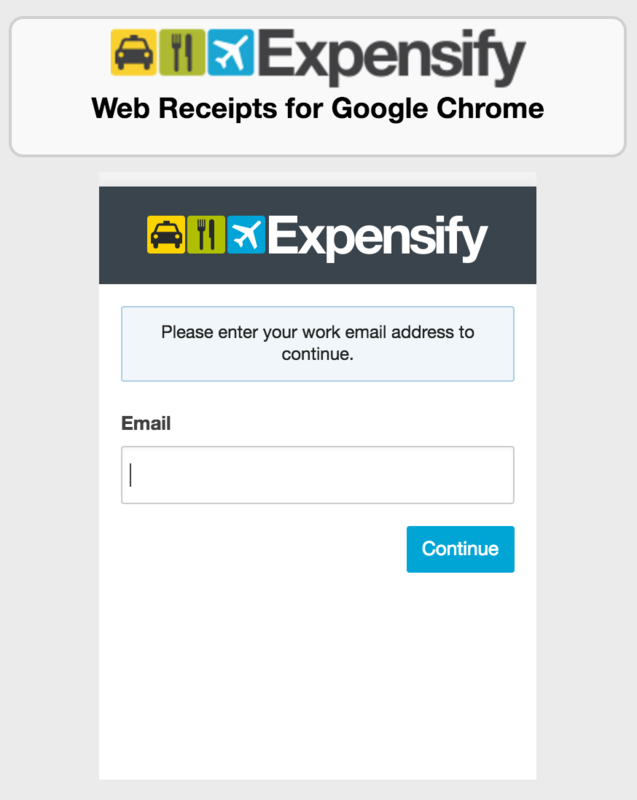 Install the Expensify Google Chrome™ extension to import web receipts into your Expensify account. 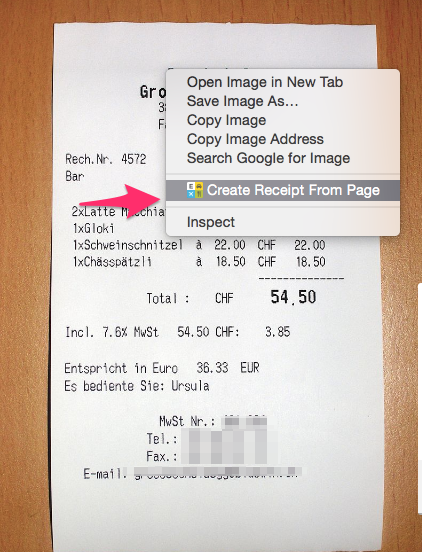 Expensify Web Receipts is only available on Google Chrome™. Please make sure you have the latest version of Chrome installed by clicking on “About Google Chrome” from within your web browser. If you don’t have Google Chrome installed, it’s available as a free download. 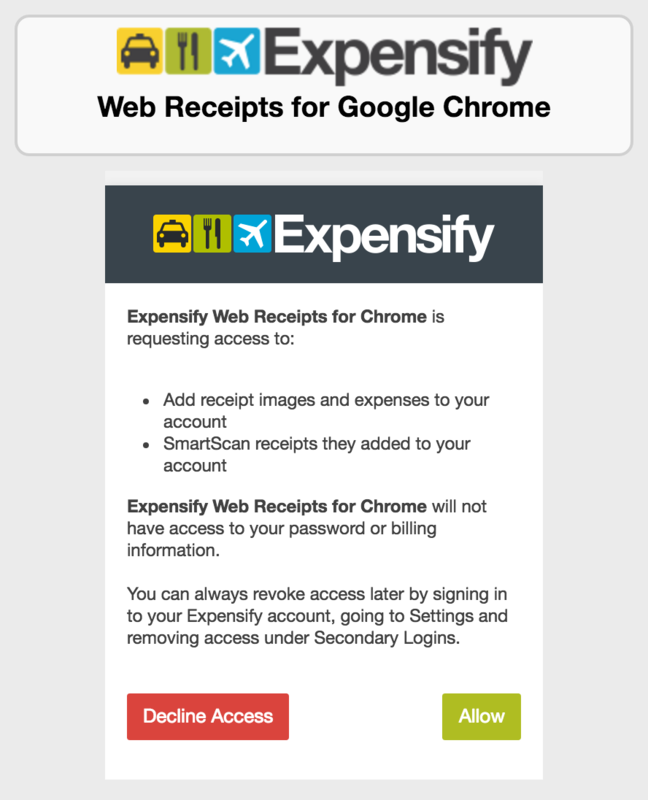 Expensify Web Receipts for Google Chrome™ is available for free download from the Chrome Web Store. When you use Expensify Web Receipts for the first time, you must be logged in to your Expensify account. Remember to protect your account data! Always ensure that the address bar in your browser says you are at Expensify.com before entering your account information. After logging in, you are required to “allow” access to your Expensify account. With the Expensify Web Receipts extension, you can right-click on a page and click “Create Receipt From Page” to import the receipt to your Expensify account.